This is a Guest Post by Ellagreen, who is the owner of VistaTweaks. If you want to write a Guest Post too, then goto the “Become A DailyBlogger” page, read the Guidelines & then Submit a Post for Review. Windows Vista is one operating system that comes with a lot of brilliant features. However, the bad part is that these excellent features slow down the system considerably. To do that you would need to click on “Start” button and select “Computer.” Then you should right-click on your primary drive and click on the “General” tab. Here you would see an option by the name “Index this drive for faster searching”; you should uncheck this option. Uncheck also the box saying “Include subfolders and files.” After this Click “OK”. One should always prefer to manually Defragment the disks rather than automating the process. To do that Click on Start–>Computer and then right click on your primary drive. Click then on properties. Select Tools–>Defragment Now. Remove “Run on a schedule” checkmark and Click “OK”. You can run this utility manually every 2-3 weeks or so. It’s very essential to reduce the usage of your System Resources. Applications like Windows Defender are on by default and they consume some of your resources, which can be easily saved. That can be done by clicking on Start–>Control Panel–>Power Options–>Change plan settings. A new window will open and you should then select “Change Advanced Power Settings”. Next click the “Sleep selection” & select “Hibernate After.” The slider should then be brought to zero and then click the “Apply” button. The aforementioned are really simple vista performance tweaks, but can do wonders to your system’s performance. 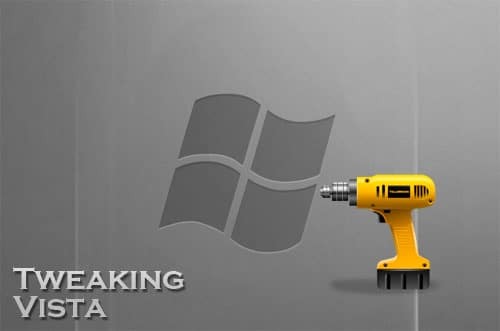 Have you tried these Tweaks on your Vista OS ?? All the World went gungho about the stupidity of Microsoft for creating Vista in such a mediocre way. Though the intent and the application is good, the performance of Vista has been a problem. These tweaks may help a little. Can you elaborate on how stopping the system from hibernation can add to the performance?. Using a registry cleaner can clean up your computer and then make your computer faster,Why?the reason is that there may be some registry errors and remnant,corrupt files and temp files in your computer to cause “computer slow”.